On a trip to the beach, Geronimo Stiltonix stumbles upon a mysterious treasure map! 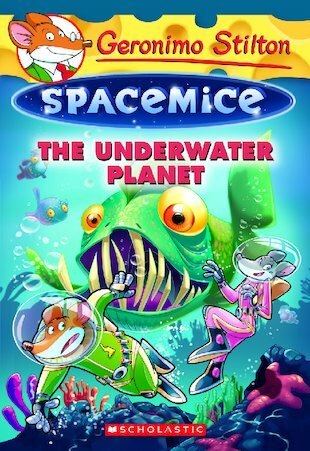 The spacemice follow it and end up on Aquarix, a planet that’s entirely underwater. During their voyage, they face fur-eating seaweed, ferocious piranha aliens and … pirate spacecats! Squeak! Can the spacemice avoid being eaten and stop the spacecats from stealing the treasure?